There are probably few people who would argue that homemade stock does make a huge difference when preparing dishes such as soups, stews, or casseroles. The reason why a great many people are put off making homemade stock or broth, however, is that the recipes frequently require a shopping list of ingredients, call for lengthy oven roasting of the bones prior to boiling, and require a full day to prepare. While roasting the bones and the vegetable ingredients may be necessary to cordon bleu chefs preparing a major banquet, there is no real need for the home cook to resort to these methods in order to make a very tasty and entirely acceptable beef stock or broth. Strictly speaking, this is actually beef broth which is made on this page, rather than beef stock. 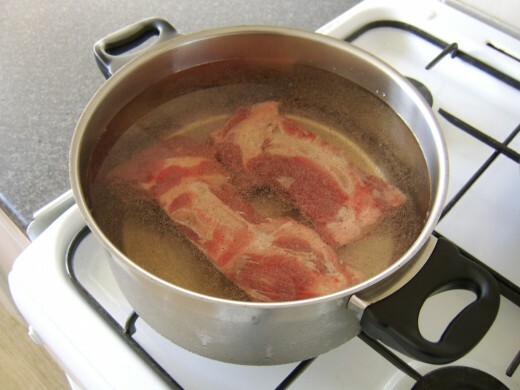 In a literal sense, beef stock is thick and gelatinous, having been boiled down over a period of many hours. In everyday usage, however, beef stock is commonly referred to when the recipe writer or speaker actually means beef broth. Always be careful where a specific recipe depends specifically on one or the other. When making soup, stews or casseroles at home, this beef broth/stock does the job just fine. Beef stock is made above all from beef bones. 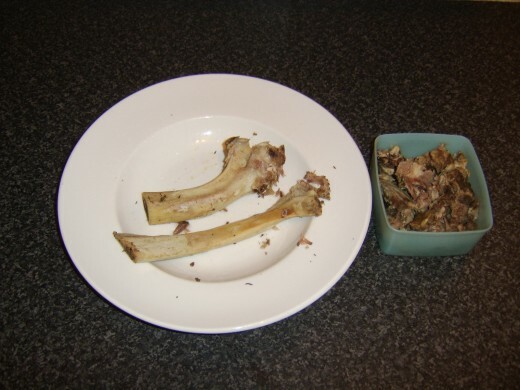 These bones are advertised in supermarkets as bones for soup and still have a reasonable amount of meat attached. 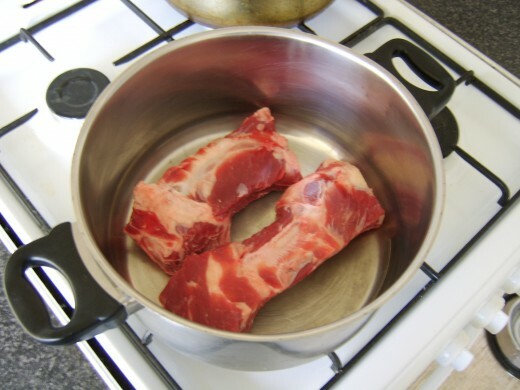 Begin this recipe by laying your beef bones in the bottom of a large stock or soup pot. Season with black pepper, salt and a teaspoon of dried thyme. Pour in enough cold water to come within about an inch of the rim of the pot. It took six British pints of water to almost fill this pot, which is about seven and a half US pints. Put the pot on to a high heat until the water just begins to boil. Reduce the heat at this stage to achieve only the gentlest of simmers and never a rolling boil. This is important and be sure to monitor the stock to ensure this gentle simmer is maintained. It is going to take around two hours for the liquid to be reduced by half. 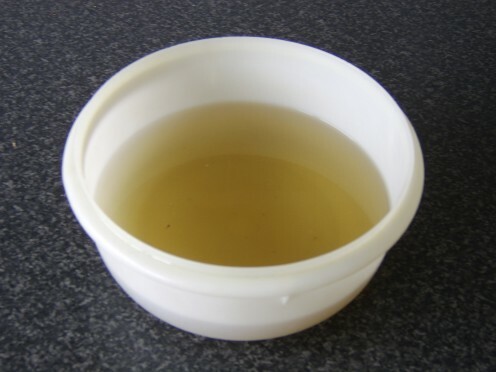 As your stock simmers, you will find impurities forming on top of the liquid. Don't worry - this is supposed to happen! This will be particularly evident in the earlier stages of simmering. Simply scoop them carefully off with a large spoon and discard. Don't do this too often, however, or you will be pouring away a lot of the water which will form your stock. 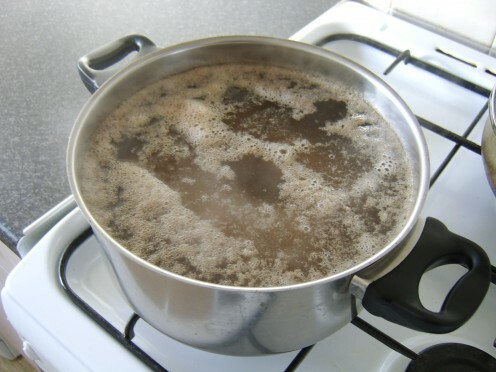 After around two to two and a half hours, the water in your stock pot should be reduced by about half. 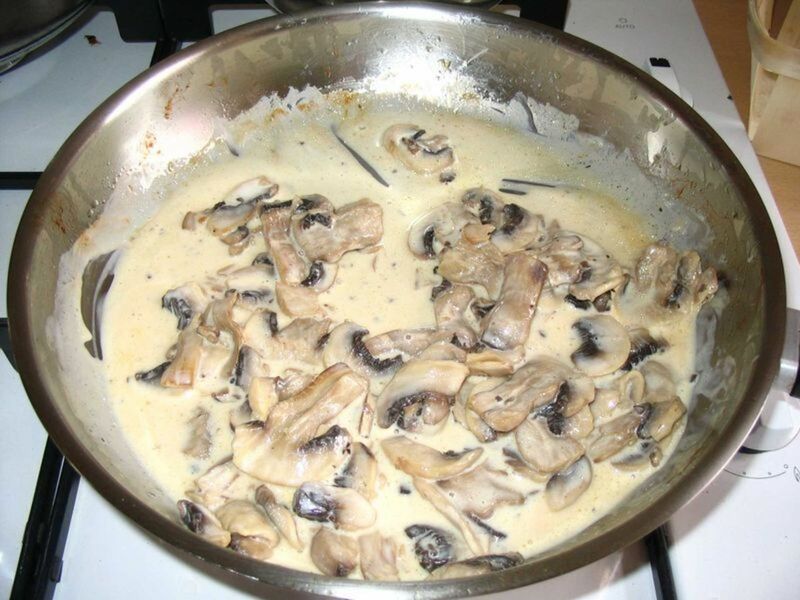 After this time, turn off the heat and use a large slotted spoon to remove the bones to a plate. Cover the bones and place the lid on your pot and leave both to cool for at least an hour. When the beef bones are cool, you should find that the remaining meat and gristle easily pulls free. 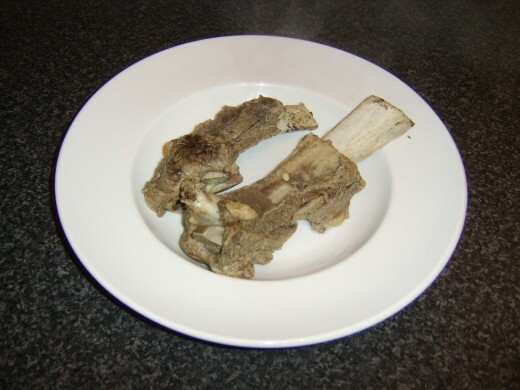 You can take some time to separate the meat from the fat and gristle and use it in a soup you may be preparing. The stock should now be sieved. Place a sieve over a large bowl as shown and lay three or four sheets of kitchen paper inside. 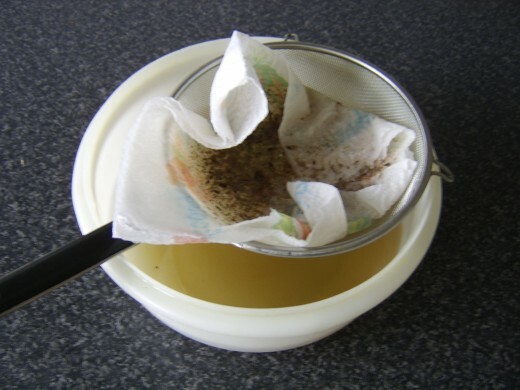 Pour the stock carefully in stages through the sieve and the kitchen paper will capture the fat and remaining finer impurities. 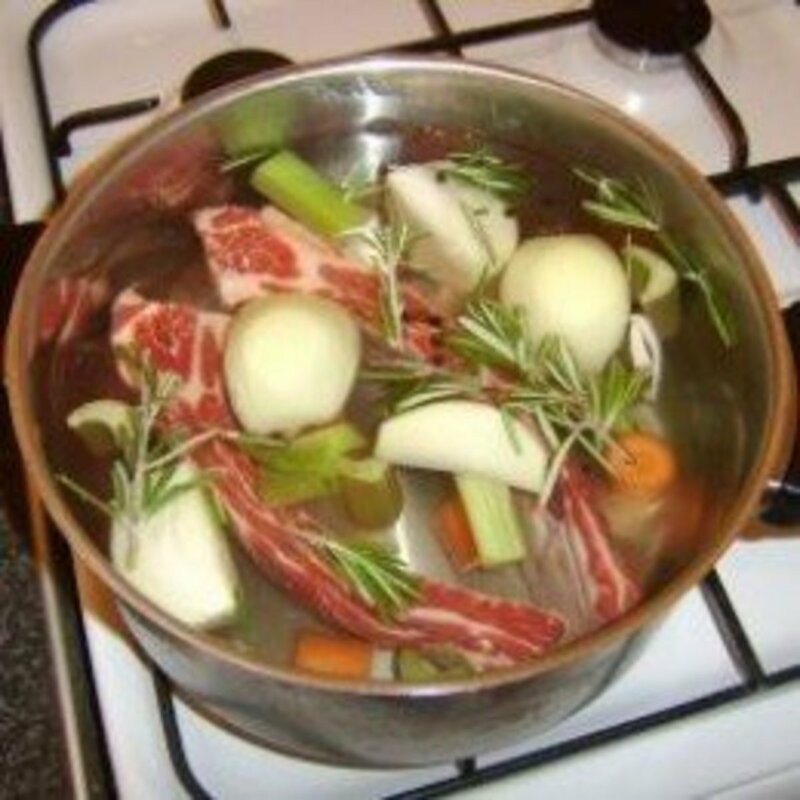 Your really simple beef stock is now ready for use in your soup, stew or casserole. Alternatively, it can be refrigerated for a couple of days or kept in the deep freeze for up to three months. There will be some who dispute this is real beef stock, due to the very few ingredients. 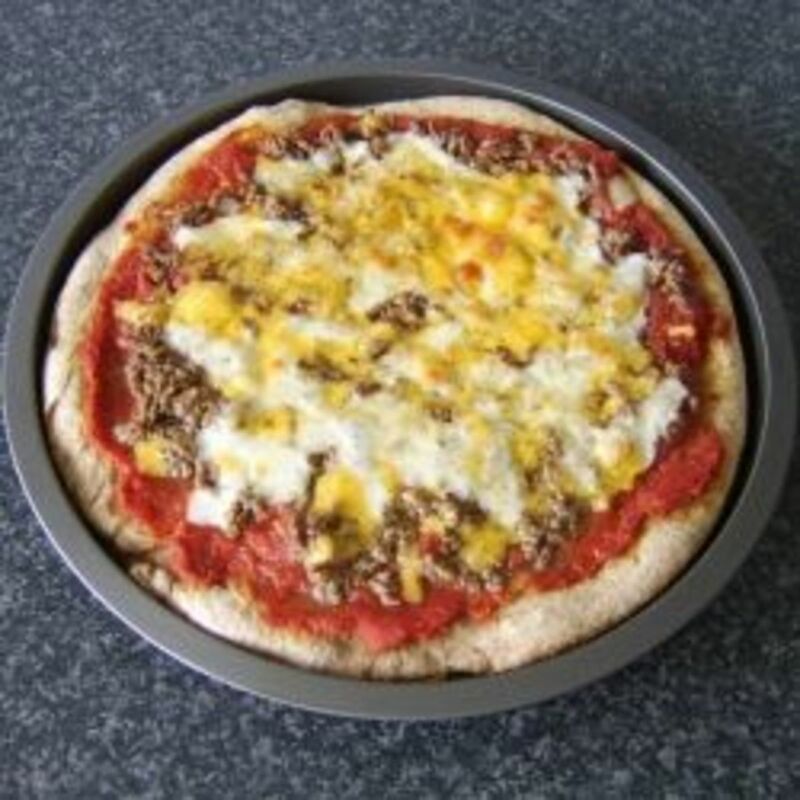 It is, however, absolutely packed full of beef flavour and the additional tastes of your dish will come from what you add at the next stage of your recipe. 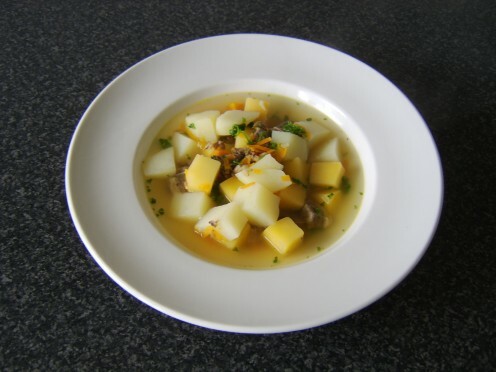 Thank you for your visit to this page and I very much hope you will try this recipe out the next time you require fresh beef stock or broth. Any comments or feedback can be left in the space below. 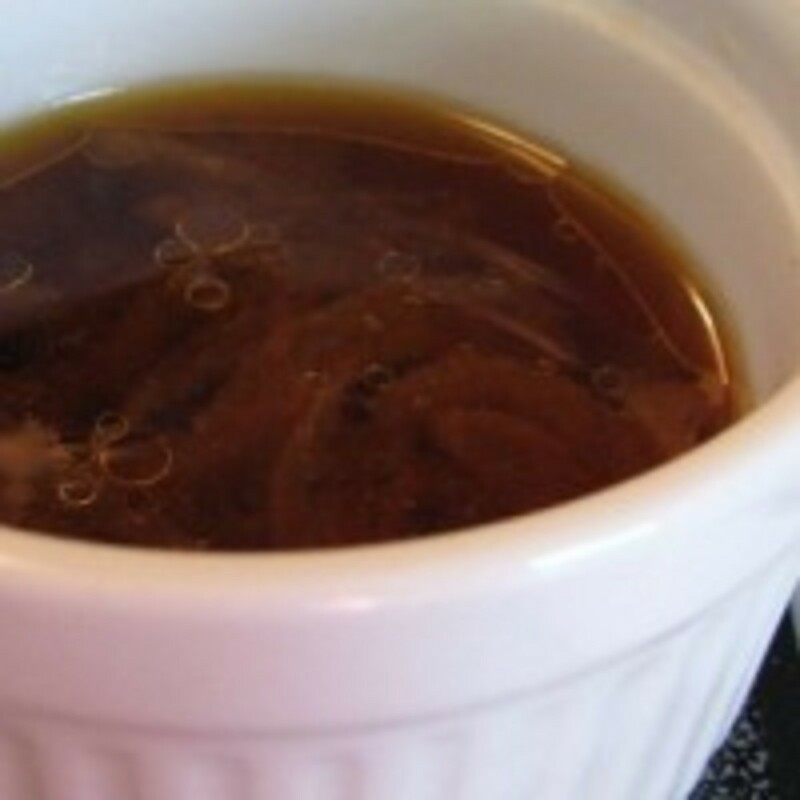 5 stars from 1 rating of this simple beef stock recipe idea! Hi, Carol. I actually keep stocks like this in cartons in portions in the freezer. Beef and chicken in particular. You're absolutely right - you just never know when you might need it and it's so convenient. Thanks as always for your visit and comment. Thank you, Kathy. You are right - taste in a creation like this is the most important hing to the vast majority of people. 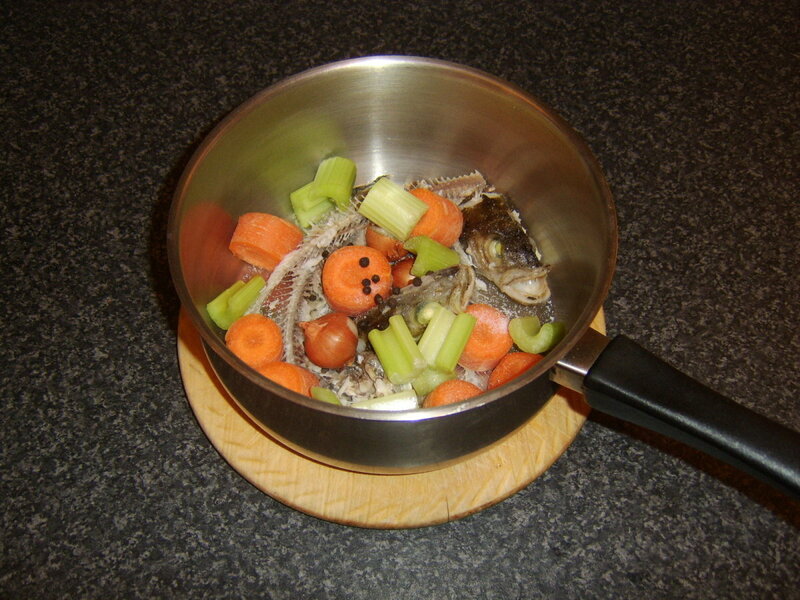 Stock generally refers to a professional kitchen product, and is made with bones. 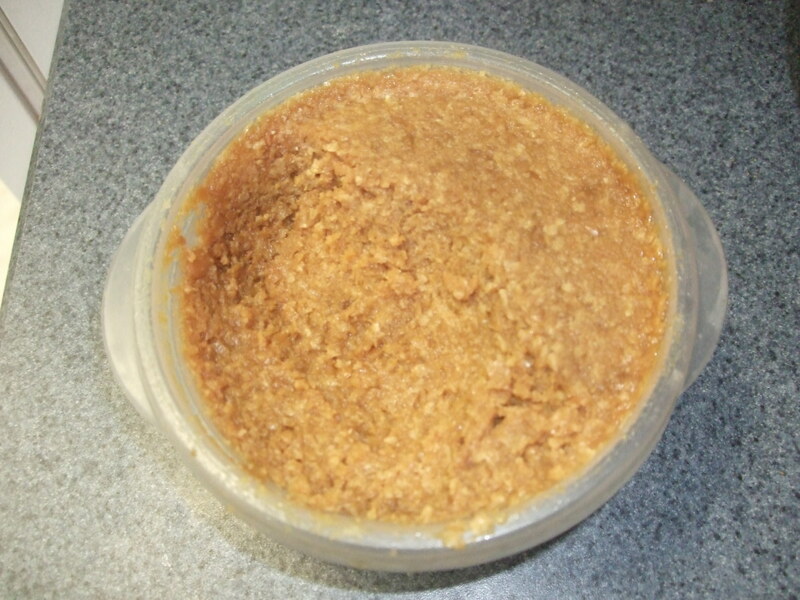 Broth refers to a home kitchen product, and includes meat. Either can include seasonings and vegetables (the usual suspects are onion, celery, bouquet garni). Gordon is absolutely correct that the boundaries have become blurred ;) In the end, what is important is the taste - and this recipe works very well! Hi, dodonet. I think that's a really good way of making chicken, beef or any type of stock. Judgement is the key. I hope you enjoy this method. Thanks very much for visiting and commenting. Please.. aah Gordon, you really was talking to me here. I put my beef or chicken and boil and when i think the meat is cooke(because i dont time) lol i say voila my beef or chicken stock. :-) I read each and every detail, and i will be making a perfect beef stock next time i comment here... eeh not broth unless i want some for winter ofcourse lol. Thanks for the good hub and information. Hi, JamaGenee. Yes, it's amazing how complex some stock recipes can be. This is basic, quicker and easier and I honestly believes does the job in a domestic kitchen just as well. Hope you agree if you try it. Thanks for the visit and comment. The distinction has definitely become very blurred, iZeko! :) Thanks for the visit and comment. I also thought that stock and broth is the same thing. Good to know the difference. Hi Gordon, I often wondered if there was a difference between beef stock and beef broth, so thank you for clearing this up for me! Your step-by-step instructions are very clear and easy to read so I am bookmarking this for later us. Thanks so much for sharing - voted up!